I have welcomed local apprentices to the Houses of Parliament to congratulate them on their achievements. Apprentices from Delyn were joined by me in the House of Commons this week to celebrate the 12,000 apprenticeships provided by the UK’s Aerospace, Defence, Security and Space industries. 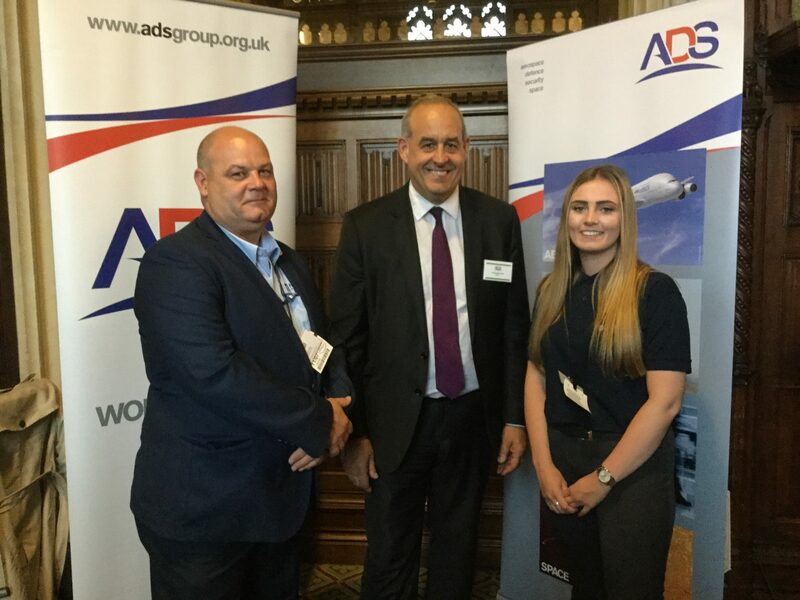 Yesterday, I met with local apprentice Sinead Beck, who is working with Magellan, and her supervisor Dave Evans in Parliament to celebrate the aerospace, defence, security and space sectors apprenticeship schemes. This was a great opportunity for MPs to find out more about our industries and celebrate the 11,000 apprenticeships provided by companies in these sectors. It was organised by ADS. ADS is the trade association representing over 1,000 companies, including 900 SMEs, across the UK’s Aerospace, Defence, Security and Space sectors. From technology to exports, to apprenticeships and investment, our sectors are vital to the UK’s growth – generating £72bn a year for the UK economy, including £37bn in exports, and directly providing 363,000 jobs. On Monday, I asked the Minister of Defence, Mark Lancaster MP, if he would clarify if apprenticeships in the defence industry are being supported and promoted in all devolved administrations. I asked this question because the literature produced by the Government on defence apprenticeships is focused on England, seemingly forgetting the bases, factories and associated industries located in Wales which are linked to defence. The Minister took the opportunity to reassure the House that the UK Government will be working with the devolved assemblies and parliaments to ensure that defence apprenticeships are available to all people in the UK.